Readers Imbibing Peril or RIP IX! For those that are unaware of what this little challenge is, let me give you a quick rundown directly from Stainless Steel Droppings himself (click here for the direct link to the original post) . . .
1. Have fun reading (and watching). 2. Share that fun with others. As in past years, there are multiple levels of participation. And as usual, I will be participating in PERIL THE FIRST. This means that I will read a minimum of FOUR books during the time that the challenge runs (September 1-October 31). I cannot decide which books I really want to read over the next couple of months, so I am just going to post pictures of the stacks that I will be grabbing my reads from. My stack of random mass market paperbacks. 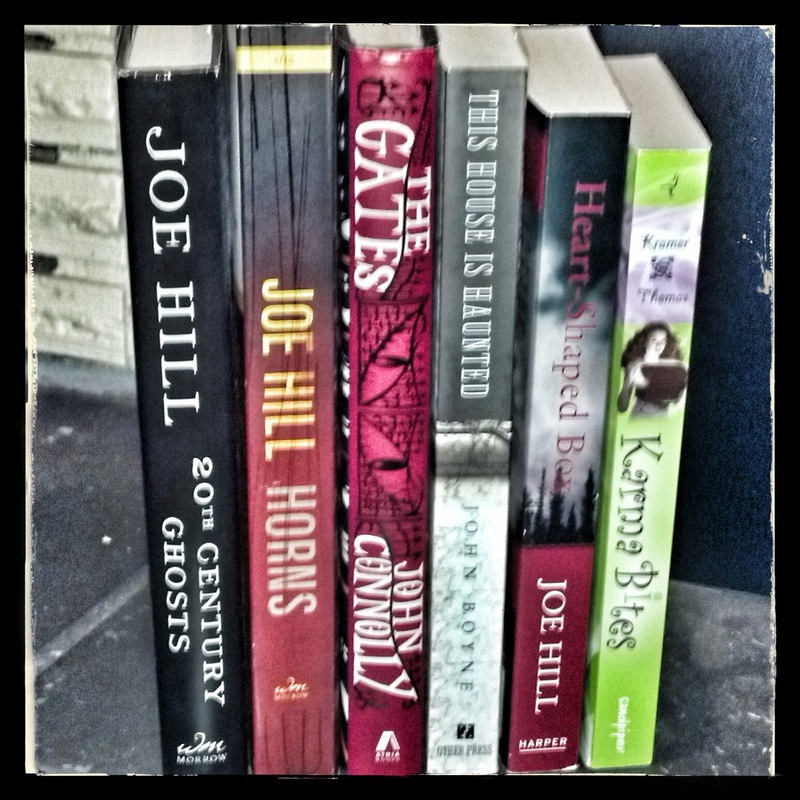 Another round that tends to be dominated by Joe Hill. 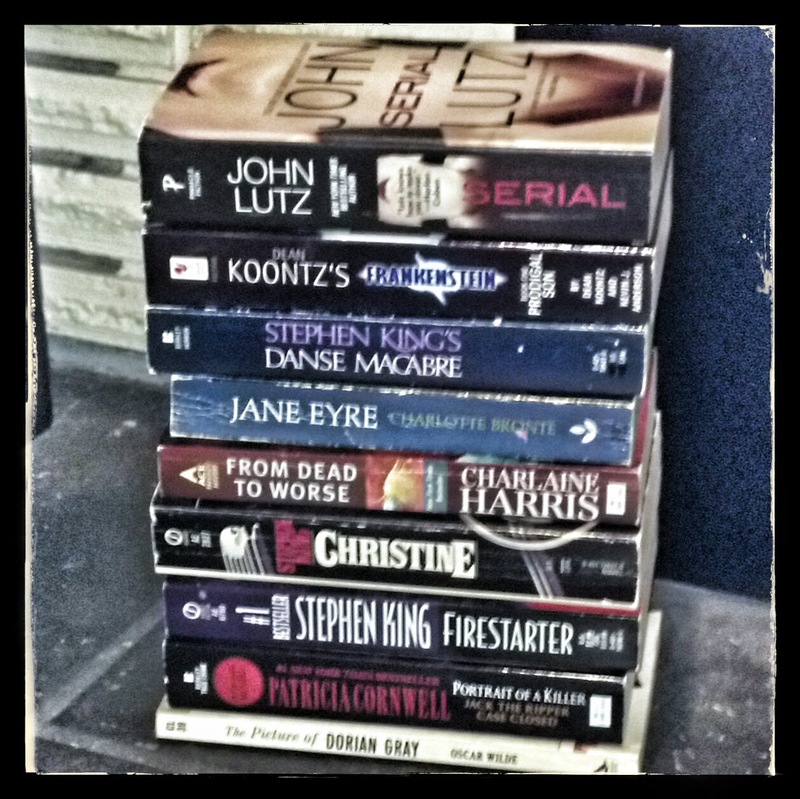 My stack of reads reminiscent of my younger years. I reserve the right to read any or as many of these as I deem fit! I will also be participating in PERIL ON THE SCREEN because I absolutely love to watch a good story filled with peril. I don't have a list of what I will be watching. I do know that one of them will be the return of The Walking Dead on AMC. The rest of my selections will be chosen at random and I will post my list of titles, possibly with a few thoughts when I post my wrap-up post. 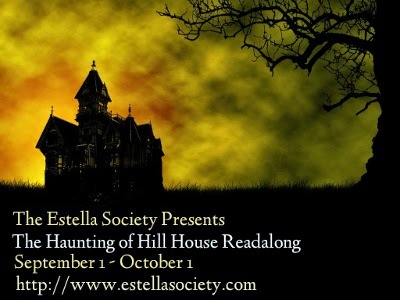 Last, but not least, I am excited to participating in the PERIL OF THE GROUP READ with The Haunting of Hill House by Shirley Jackson and hosted by the fabulous Estella Society. I have been wanting to read this one for ages, so what better chance than now! It is going to be a great couple of months! Let's do this! 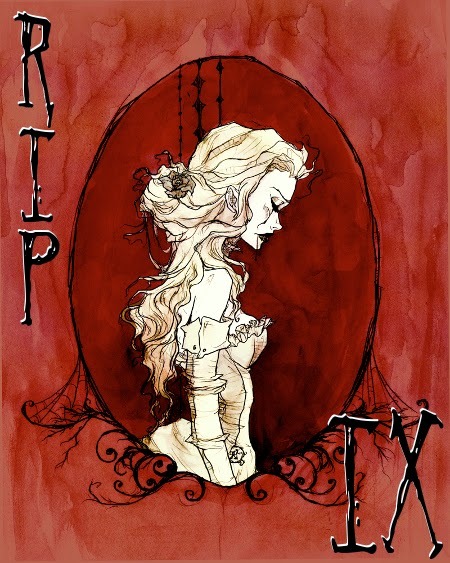 Are you participating in RIP IX? What are your plans for my favorite challenge of the year? Yep. I am in too. Suey ... LOL!! The sad thing is that I had more I could have added to these piles!! And, yes we must chat weekly during our live viewing. I would love that!! Oh my, but it certainly is going to be a great couple of months! And as if there wasn't enough awesomeness in this post, you had to go and mention The Walking Dead! :D Not that I want to rush September along, but oh I can't wait for October's return! Hope you enjoy all your reads, whatever they end up being this RIP!!! dastevensish . . . I can't wait for the return either!! Maybe all of us should be chatting on Sunday nights?!? BTW, I thought I was following your blog, but I wasn't. That is now fixed!! I must have just been following on Instagram. Totally doing this! Can't wait. Kim @ Bookmark to Blog ... Yay!! Can't wait to see what you will be reading! I'll be rereading all of the John Connolly series this year so I'll bug you about The Gates when I get to it. :) And I'll be reading This House is Haunted too. Everyone is loving it so yay! For now, I'll get back to my fourth RIP read (yes, already) ... Constable and Toop. Kristen M. ... By this time, you are probably on your 5th or 6th read by now!! Definitely let me know when you get to The Gates. My reading has slowed down recently, but I'm hoping it will pick back up soon! 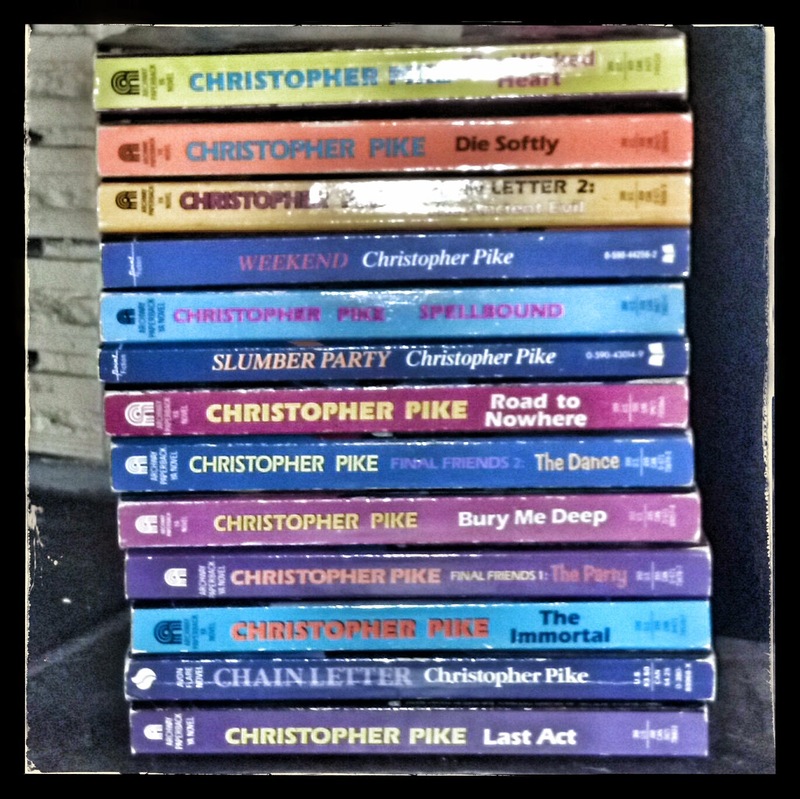 Oh my gosh, I used to LOVE Christopher Pike. He was my favorite author when I was a young teenager. That stack of books brings back SO many memories. Have fun reading them! Susan ... I used to love him too!! Last year, I read a small stack and I'm hoping to again this year. They are not the same as they were when I was a teen, but I still think they are fun to revisit!